This trip begins at White Sand Lake north of Hwy. 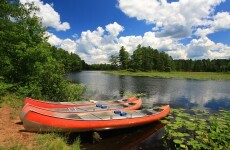 K. Travel south across a portage from White Sand to Lost Canoe Lake. From Lost Canoe Lake, portage into Pallette Lake. 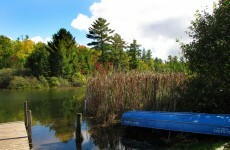 Pallette Lake has three portages. The portage to Stevenson Springs keeps you on the route to Trout Lake. The portage to Escanaba Lake can be a side trip. 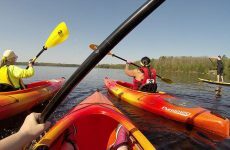 Escanaba Lake is 100% state owned and a beautiful place to paddle. 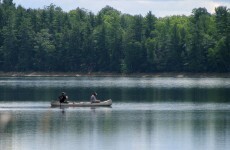 Be aware that Escanaba and Pallette are research lakes and no fishing is allowed without a permit. Permits must be returned by the end of each day. Staying on the route and portaging to Stevenson springs will bring you to a sand road. 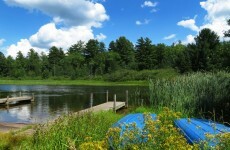 Pull over on this road to a small creek which flows to the North Trout Campground and boat landing. Beaver dams will be located along this stretch. The White Sand to North Trout Campground section of this route can be used as a day or overnight trip. 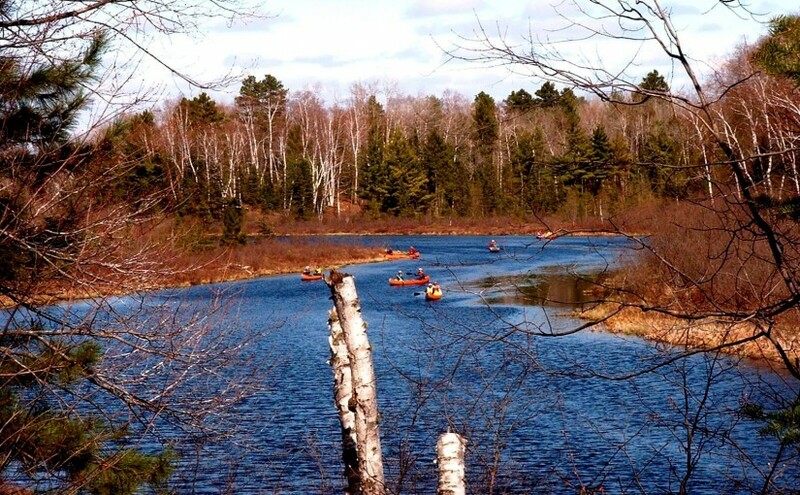 From South Trout Lake, take the Trout River which passes through Wild Rice, Alder, and Manitowish lakes. Paddling north of Manitowish Lake and under the Hwy. 51 bridge into Spider allows you to connect with the Manitowish River Trip. There are a total of three portages on this route. The total distance is 19 miles but can be divided into smaller routes.